Eindhoven, April 2017 – As of today, NextPax is added to the Pyton Leisure Portal as channel manager. NextPax develops software that connects professional property managers and tour operators and synchronises bookings, content, prices and availability via all channels. The cooperation between NextPax and Pyton gives clients of Pyton access to a very large amount of new professional property managers that will now be available via the Pyton Leisure Portal. The first property managers that are available via the NextPax connection in the Pyton Leisure Portal are Roompot Holidays and Hogenboom Holiday Parks. Two major players in the vacation rental market make up for more than 500,000 bookings a year. The inventory of Roompot Holidays is strongly internationally orientated and Hogenboom Holiday Park has an extensive Dutch inventory. The two brands combined hold 200 bungalow parks and 23 camping places, mainly located in France, the Netherlands, Germany and Belgium. Founded in 2006, NextPax develops real time connections between booking channels and the inventory of tour operators and property managers. The extensive network of NextPax consists of more than 300,000 accommodations and is continuously growing by connecting new professional property managers to the network. The cutting edge and highly automated vacation rental distribution technology provided by NextPax, allows accommodations to be distributed via more than 300 different channels. 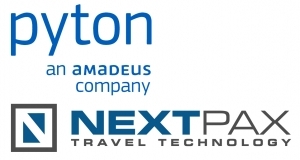 Pyton Travel Technology, part of Amadeus since September 2015, is a Dutch travel technology company that provides software to leading online agents and software companies. Pyton has a strong international portfolio, with customers in more than 20 European countries, Middle East countries, Asia, the United States, Canada and South America. Pyton won the Dutch Travel Innovations Award five times and has more than 20 years of experience in the travel market.